As tradition would have it, the Mayor of Calgary, Naheed Nenshi, and I placed a bet on who would win the 2016 Grey Cup: the Ottawa RedBlacks or the Calgary Stampeders. As we all know, the Ottawa RedBlacks came back from Toronto with the 104th Grey Cup in hand. 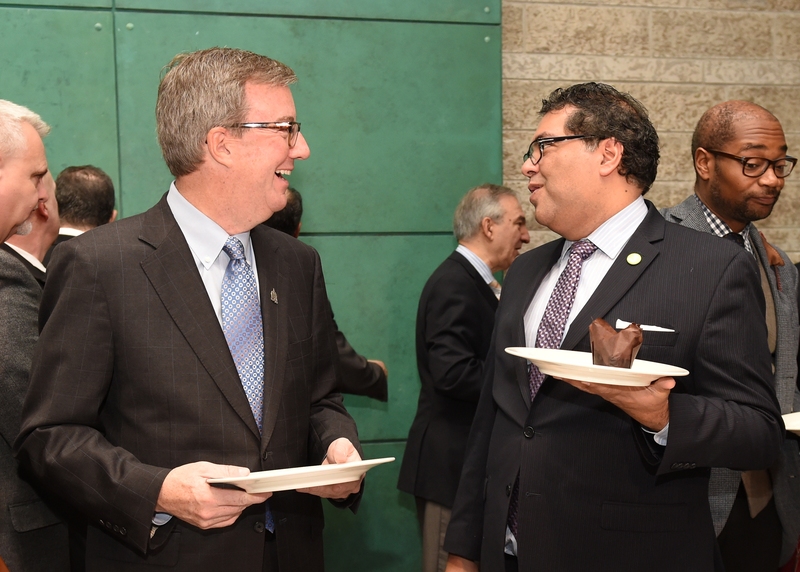 To honour our bet, my good friend Mayor Nenshi wore the RedBlacks’ jersey at his City Council on December 5, sent over a dozen donuts from Jelly Modern Doughnuts, donated to the Ottawa Food Bank and read a poem I wrote for him aloud during his Council meeting. I look forward to next year’s Grey Cup bet, and to our RedBlacks defending their championship right here in Ottawa, as we host the 2017 Grey Cup! And all I could shout was come-on! I should have been chanting Go RedBlacks Go!